This Week Fan-art was hand-drawn by me. 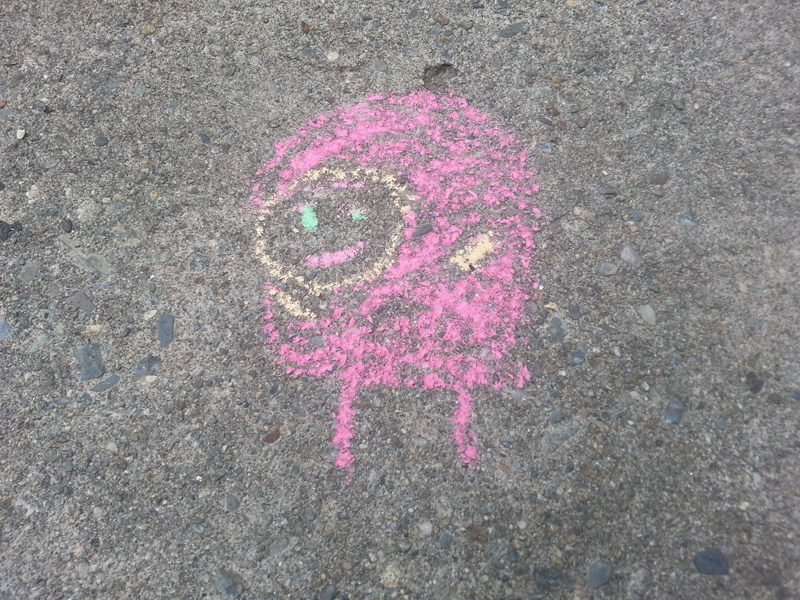 It’s a real-life rendering of Quasimodo I used pavement as my canvas and sidewalk chalk. Behold my Genius Art Work…. This week’s Fan-art is by Gluglotte. 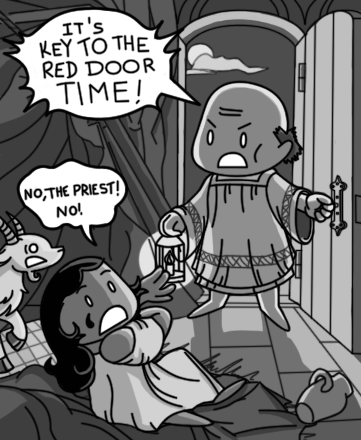 It’s a hilarious take on the the chapter “The Key to the Red Door.” It’s based on the “It’s Goofy Time” meme. 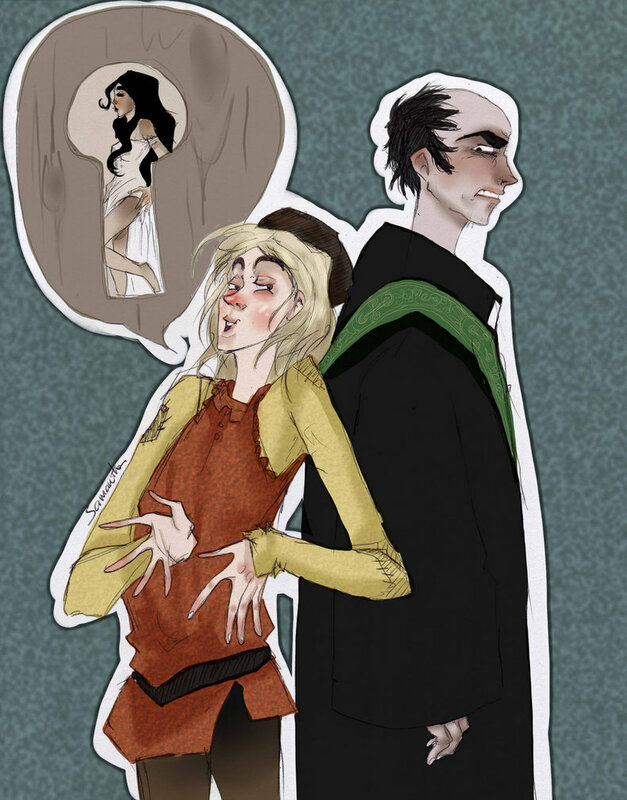 I just love how Frollo and Esmeralda are drawn. I composed this using the Geisha Creator on Azaleas Dolls. It’s inspired by Esmeralda from Notre Dame de Paris. 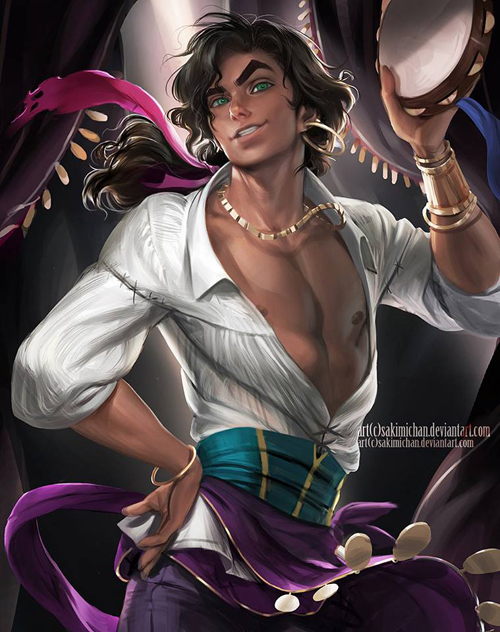 Today’s Fan-art is by Lady-A-94 and it’s of Esmeralda. I just love the delicacy of this. It makes Esmeralda look so sweet . Check more of Lady-A-94 by clicking the link. This was composed by me using the Heroine Creator on Azalea Paper Dolls. It’s a recreation of Esmeralda from the Jetlag Version of The Hunchback of Notre Dame. Today’s Fan-art was done by Manon Yapari. It’s a rendering of Disney’s Esmeralda in CLAMP’s style. CLAMP is a manga group known for their gorgeous artwork. I think this is really gorgeous. 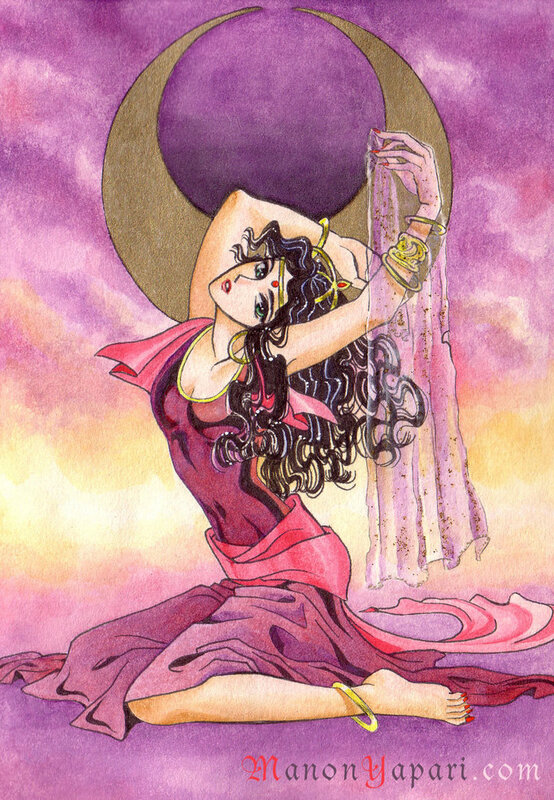 It captures both the style of CLAMP and Esmeralda perfectly. Check out more by Manon Yapari and be sure to look at hersecond account myapari. This was composed by me using the Azalea Doll Goddess Marker. 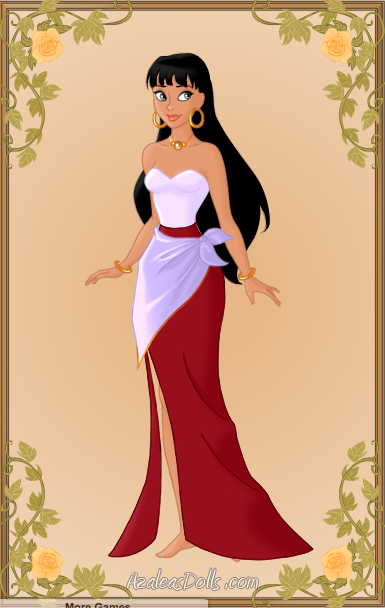 It’s an attempt at creating Esmeralda’s Red Dress. 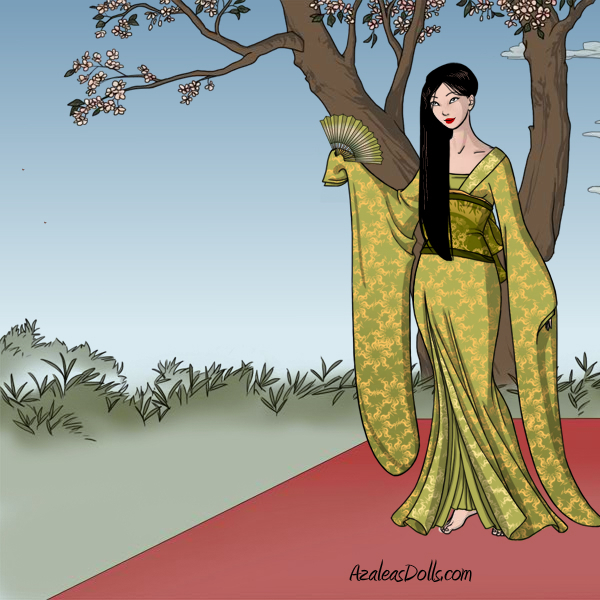 Visit http://www.azaleasdolls.com/ to create your own looks. Today’s Fan-artis by floriaiglenoir. 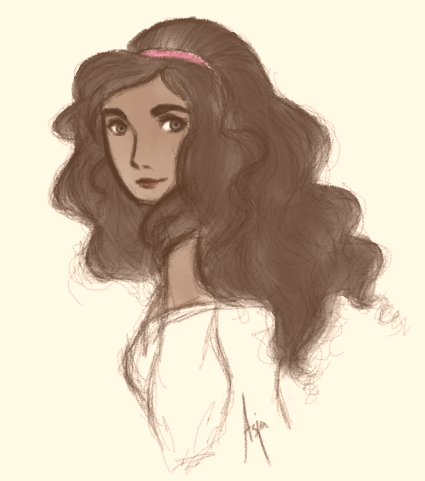 It’s a rendering of Esmeralda from Notre Dame de Paris. It’s an oil painting I love how beautiful she looks but there is an understated sultriness to her. I also love the swallow and Frollo hidden off to the side. I love this painting is very beautiful and color scheme is gorgeous.